Preventative healthcare may be a bit of a challenge to wrap your head around because, well, to be honest, who thinks about their health when they’re healthy? When we’re sick we have no choice but to focus on our health, and when we’re feeling good we tend to ignore it. But this way of thinking is what we’re urging you to seriously reconsider. You should make your health a priority, and incorporate health-promoting dietary and lifestyle habits even when it’s not of life-or-death importance. You should learn about diseases and their risk factors and symptoms, and go to your doctor for regular checkups—not just when you’re sick. And you should believe in the power of simple, healthy habits, understanding that they really are your best personal insurance for a long, healthy and happy life. A few of the benefits of preventative healthcare include feeling great physically, mentally and even emotionally. Improved energy, sleep, weight and freedom from symptoms of disease are a couple of the physical “side effects” of preventative healthcare that you will enjoy. Better stress coping mechanisms, memory and concentration, mood, and overall outlook on life are some of the mental health benefits. And from an emotional perspective, the self-confidence and new sense of self you will get from knowing that you have taken control and responsibility of your own health will change your life. Taking an educated, active role in your health (rather than an uniformed, passive one) is key, and this mental shift can in itself lead to improved health! Western, allopathic medicine is great at saving lives and can come to the rescue in emergency situations, whereas preventative healthcare is great at keeping you healthy and happy so you can enjoy life. Thus, we strongly recommend, and our philosophy is, that you use both modalities together to achieve and maintain optimum health. 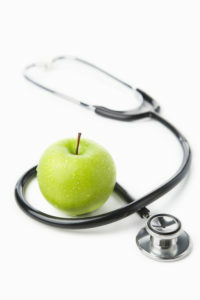 If you are looking to take control of your health then complete our FREE health report. The report will take a snapshot of your main health concerns, provide unique nutrition and lifestyle recommendations, foods that you should avoid and personalized recommendations for the best foods, herbs and spices for you. Not only do you get all of this, but we will also provide you with a sample one-day meal plan (with recipes). Our Health Report is the first step in your preventative health goals. We like to think of it as prevention at your fingertips!